If you have the intention to live healthily however feel you’re in need of nutritional expertise and guidance to help you achieve your personal health goals …. read on! Interested in finding out how nutritional therapy may be able to support an existing health condition. Concerned about potentially developing a health condition experienced by other family members and would like to investigate diet and lifestyle interventions. Looking for food and wellbeing advice to assist you in optimising your health and performance in your personal and business life. Curious to find out if you are eating and living in a healthy way and are looking for help to implement simple changes with regards to food choices, menus, cooking and lifestyle at home, at work and whilst socialising. If this is you, then you’re in exactly the right place to find out how I may be able to assist you. 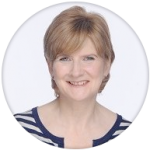 I’m Aileen Smith, I’m a BANT and CNHC Registered Nutritional Therapist, with a DipION qualification from the Institute For Optimum Nutrition in London. The Health Heroine Nutrition Clinic is based in Newcastle upon Tyne, UK, however I occasionally run clinics in other UK locations AND I offer Virtual Consultations (by Skype) for those unable to visit me in person. Find out about more about consultations here. I provide nutrition and wellbeing advice and coaching for clients interested in uncovering the root cause of their health concern and wishing to optimise their health naturally. 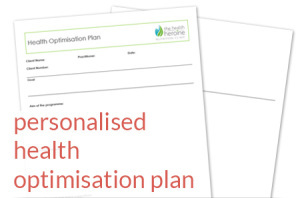 I’ll prepare a Personalised Health Optimisation Plan that fits with your lifestyle, budget and your food likes and dislikes based on your personal health history and analysis of your diet and lifestyle. Where appropriate I may recommend functional laboratory tests and/or nutritional supplements. I love to help my clients by sharing my nutritional knowledge alongside my love of good food and my experience of making health and lifestyle changes whilst running a business and having a busy life. I’d be delighted to have a chat with you to see how I may be able to help. I always suggest that you book a no obligation Free High Flying Energy Consultation (Telephone Call) with me before booking an initial consultation. I look forward to hearing from you.